Social media is a great avenue for brands to start listening and then interact directly with their consumers. It has become one of the ” essentials” in our personal lives as well as our business lives. It is a very cost-effective approach, time saving, wide-spread and an easy way to promote your brand. First time entrepreneurs have a huge to-do list that keeps running in their mind. Right from hiring staff to expanding their business. You just have to know an unerring way to get the most of social media marketing. Here are few definitive guidelines for social media marketing. 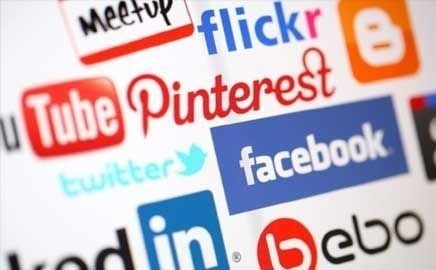 Yes, Facebook and Twitter are widely used social media platforms, but there are plenty of other websites which can help you expand your business such as LinkedIn, Reddit, Digg, Instagram, Pinterest etc. These websites are powerful, trend focused and gather an extra edge for popularity. Consumers’ interests keep changing and their attention span is too short. Make sure that your content should be attractive enough to catch eyeballs. Remember, different strategies must be used for different social media platforms. For example: Keep shorter content for twitter, longer posts for facebook, pictures for instagram or pinterest. Many social media experts suggest a trial and error method to test which type of content suits your brand the most. Leveraging the power of content and social media marketing can help elevate your audience and customer base in a dramatic way. After you have generated enough content to post for their respective website pages, invite your family, friends, friends of friends etc to follow your page. Keep regulating content, gather as many as ‘likes’ you can, request the likers/commenters to share the post with their friends. This is one of the biggest advantages we get though social media platforms as you generate a buzz and increase your circle. Keep your posts as original as you can. This guideline is especially for pictures. Remember that a picture or a content, which is accessible to you is also accessible to your customer. Originality increases the credibility of your brand. Quality is directly proportional to quantity. The better the content, more the followers, more powerful your brand becomes. Post content that the customers want to see, not what you want to show them. Its always good to have 100 active users who read, like, comment and share posts rather than 10,000 passive users. You have to entertain as many as comments you get on your posts. Keep this in mind that your potential customers are going to keep an eye on every move that you make. No matter how silly a comment is, you have to sound confident and smart to tackle it. Thank a person who complements your work. If you receive any criticism, listen to it, go ahead and correct your error. Use your mistakes as a motivation for professionalism in your field. Acknowledging would build a healthy relation between the company and the user. Even if you post amazing content, people might find difficult to contact you. Few ways to eliminate this issue is to change your all privacy settings to “public” which would make sure that your post can be viewed by everyone, include your official number, office address, email address etc on the content that you post. The customers will contact your directly and will have a sense a personal bond. If you are expecting outstanding results in a short span of time, then you are probably heading towards a dead end. Social media marketing is a slow and steady process. It takes time to know what to post and what not, to build contacts and reliable users who would read, like, comment and share your posts. Success doesn’t take place overnight. Be patient, get the right way and triumph! As mentioned earlier, entrepreneurs have multiple things running at one time. The schedules are so packed that they are unable to expertise their brand personally on the social media websites. In such cases, you can hire a social media expert who would be completely dedicated to your social media profile. This would include generating relevant content, creating a buzz, increasing the followers and making the company noticeable.